Heavy duty street name sign bracket for 2-3/8" OD pipe posts can hold any 6" or 9" street name sign. 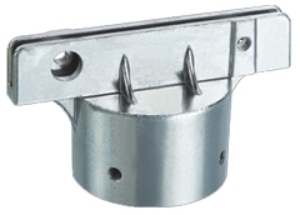 Deeper slot channel & cast aluminum design makes this bracket twice as strong as the econo model! 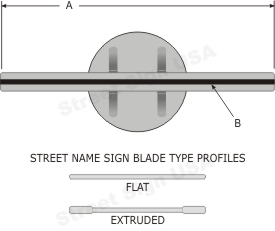 Brackets are available for both flat & extruded street name sign blade types. Hardware included. Includes set screws to mount street name sign to bracket and bracket to any 2-3/8" OD pipe post. Sturdy, super heavy duty street name sign brackets are an excellent choice for all types of weather and road conditions. For 6" or 9" tall extra long street name signs (36in. length or better), consider using our 12" long heavy duty street name sign brackets for 2-3/8" OD pipe posts.